In a world nearly devastated by plague, four billion humans narrowly escaped death by uploading digital version of themselves into computers. But this willing Matrix needs people on the outside to keep it running — but what happens when these survivors have had enough? Welcome to Arcadia. 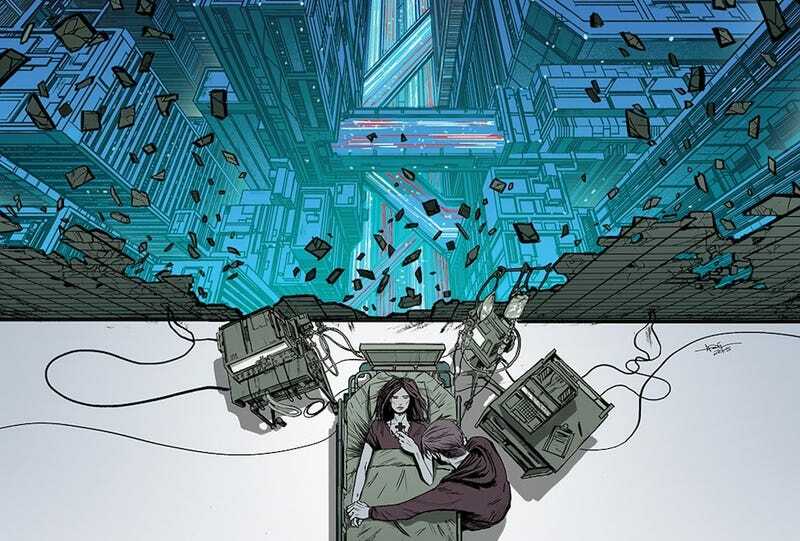 Written by Alex Paknadel with art by Eric Scott Pfeiffer, Arcadia is Boom Studios' new scifi series about the digital city Arcadia, where class warfare begins to erupt both inside the virtual city and outside, as its elite depletes the resources living in the Matrix-esque world as well those needed by the people still living in the real world, a.k.a "The Meat." Check out for yourself with our exclusive five-page preview! The first issue of Arcadia hits comics stores on May 6th!